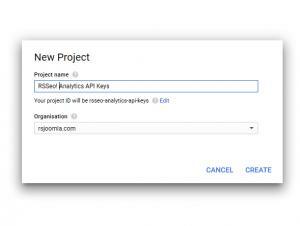 In this tutorial we will explain how you can enable Google Analytics within RSSeo! 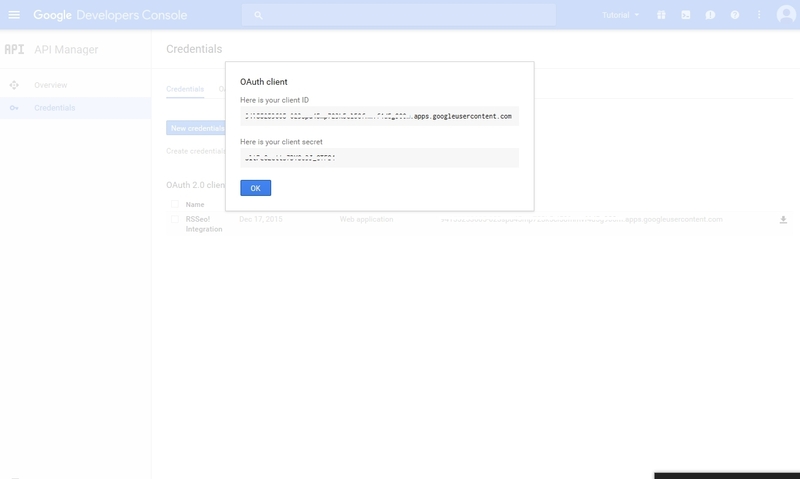 and how to get your keys required for authentication. You'll need at least RSSeo! version 1.18.19 (changelog), otherwise, updating your extension can be done as instructed here. 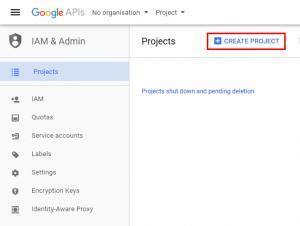 Login using your Google account and Create a new Project. 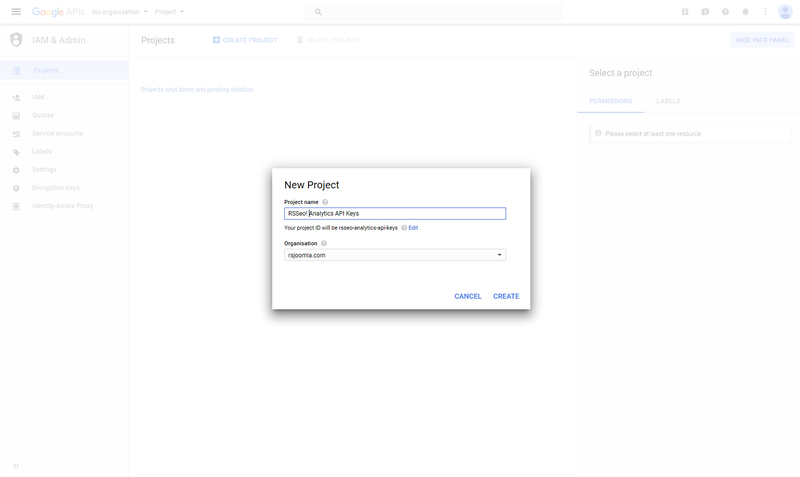 Add a project name and click on the "Create" button (wait a few moments after you click the create button to load your project, otherwise you can manually select it). 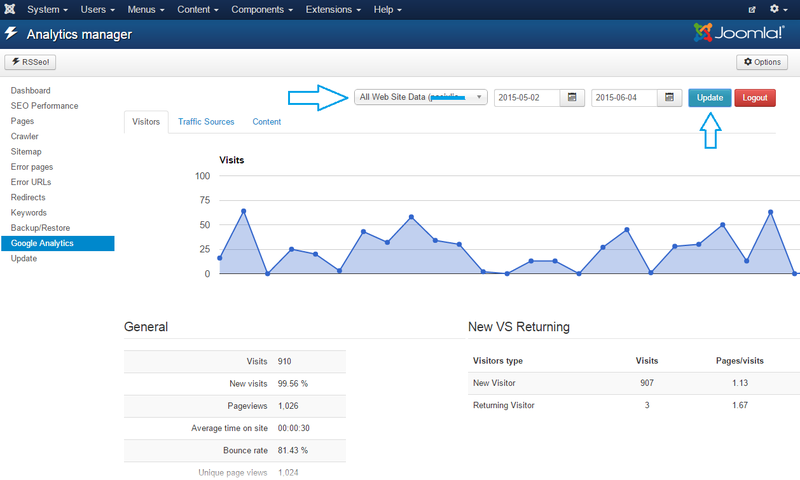 In the Dashboard view, click on Analytics API link. 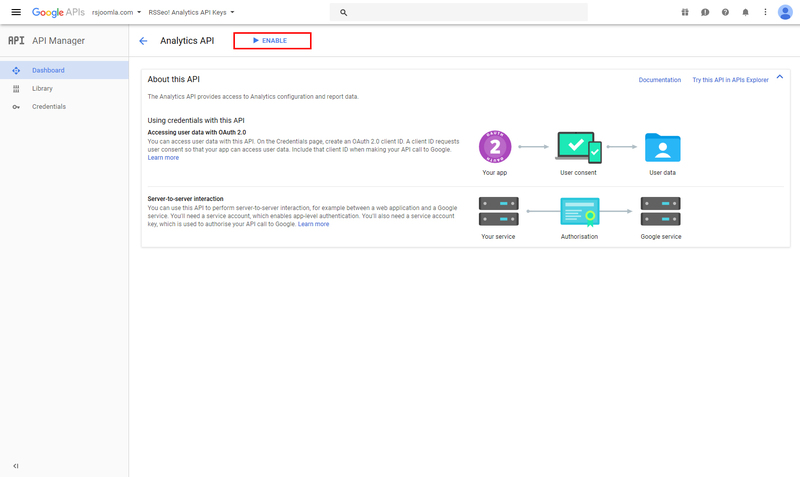 Enable the "Analytics API" by clicking on the "Enable" button at the top. 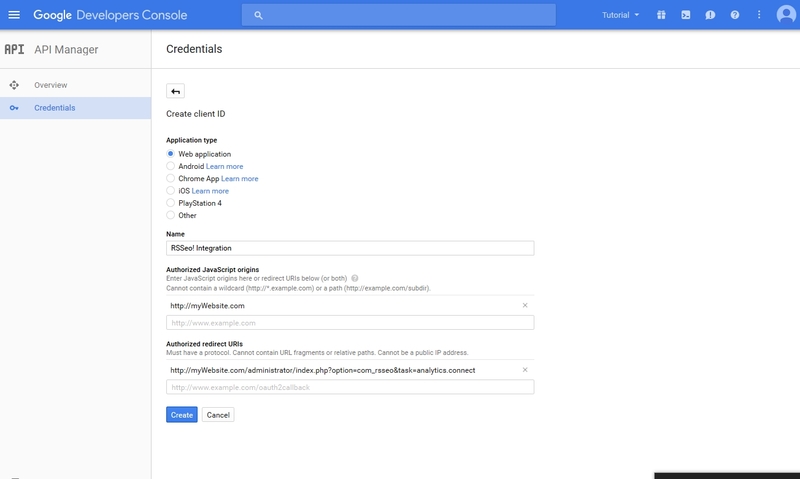 Next click on the Create Credentials button and select OAuth client ID option. 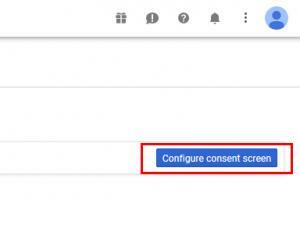 Click on the "Configure consent screen" button. Add a 'Product name' (this can be anything, for example RSSeo! 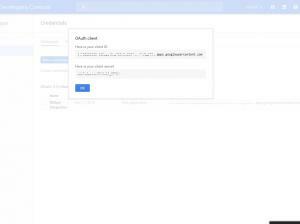 - Analytics) and click on the Save button. 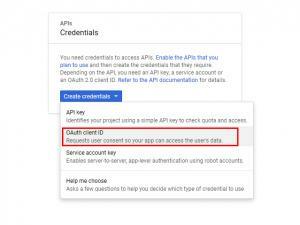 Your "Client ID" and the "Client secret" keys will be generated (these will be used within your RSSeo! configuration). 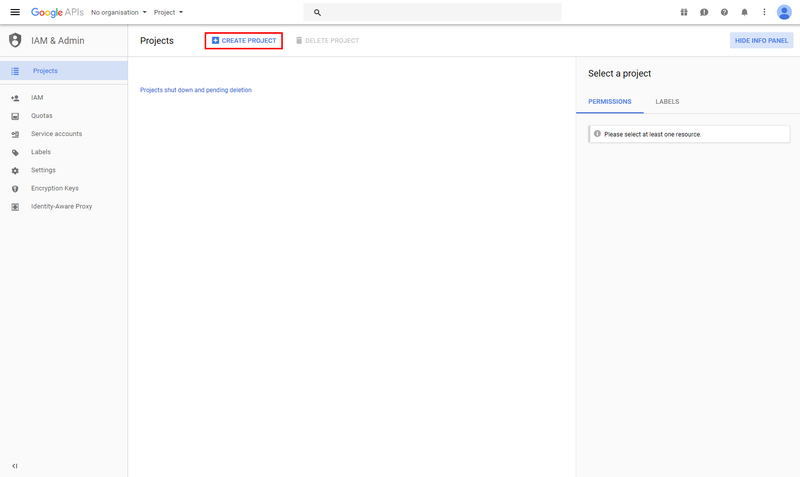 Navigate to backend > Components > RSSeo! 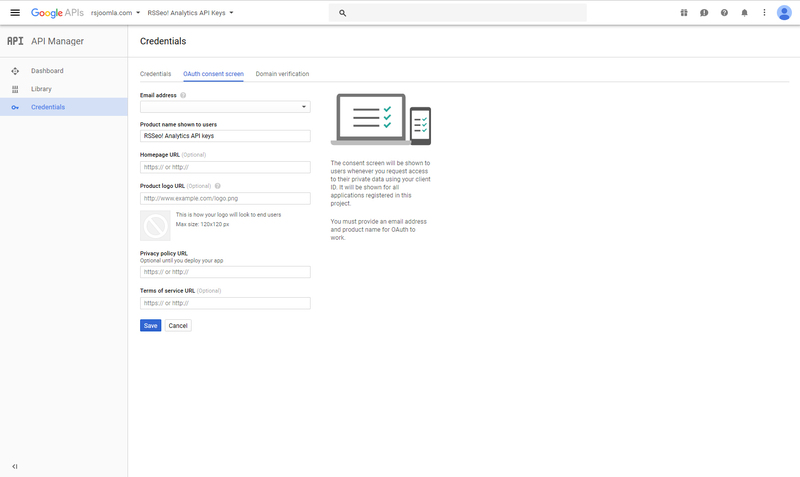 > here, click on the "Options" button, then Google Analytics. 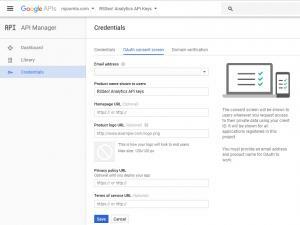 Enable Google Analytics reports: enables the report functionality. Save your configuration using the top button (your settings have to be saved first). 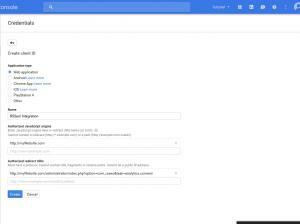 Navigate to backend > Components > RSSeo! 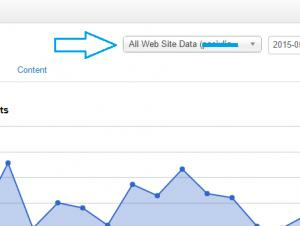 > Google Analytics. 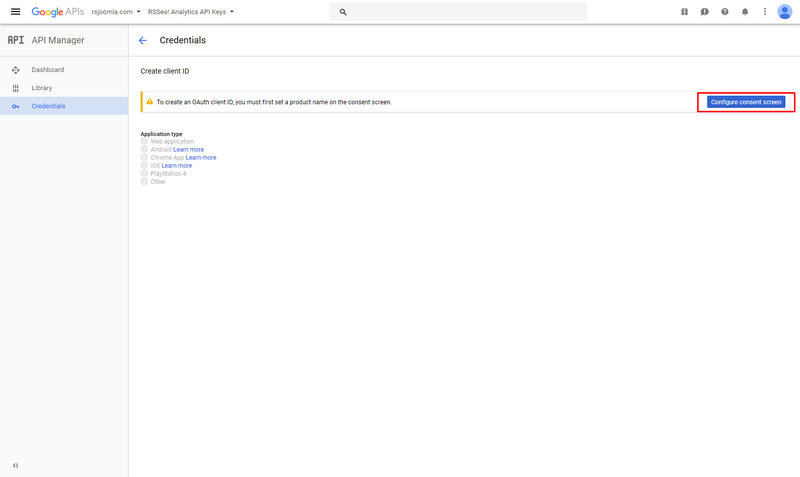 You will be redirected to Google which requests permissions to allow this data. Click on the "Accept" button. 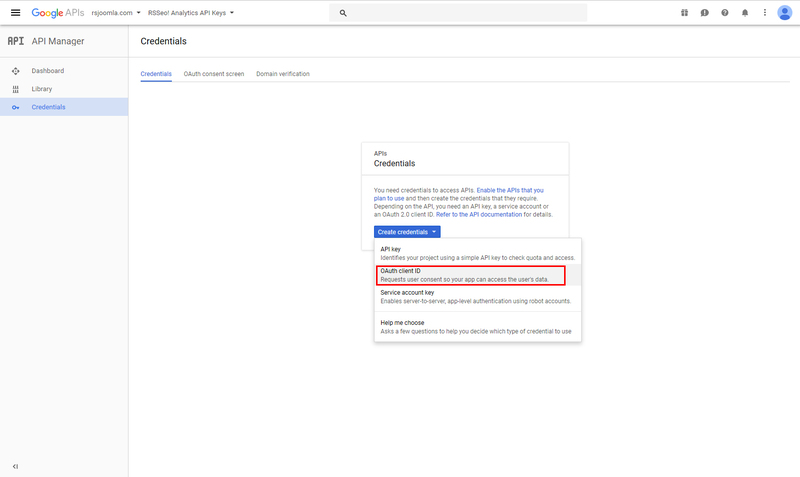 After being redirect back to your website, you'll have to select your account and click on the "Update" button (if you're using multiple accounts, you can use the logout button to switch between accounts). 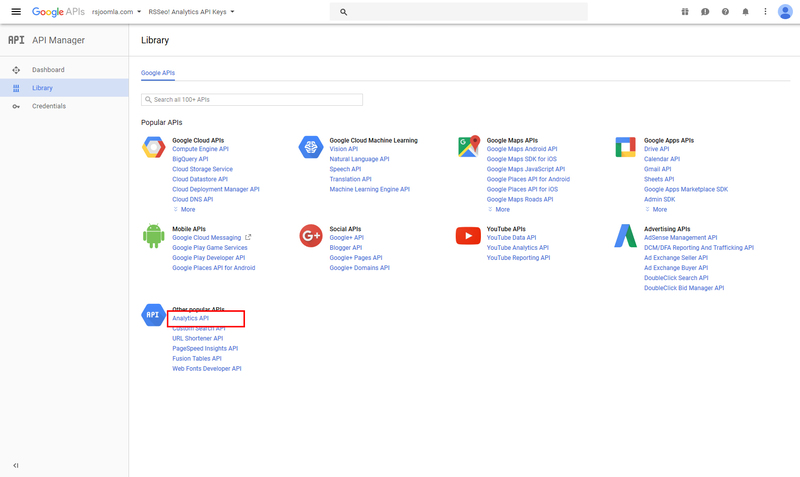 If everything is setup correctly your Google Analytics data will be displayed. RSSeo! 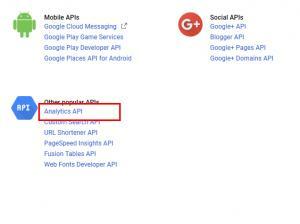 - Google Analytics tab, uses a session based functionality which lasts 1 hour. 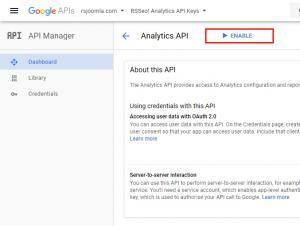 After 1 hour, you'll have to authenticate once again in order to view your Analytics data. 73 persons found this article helpful.